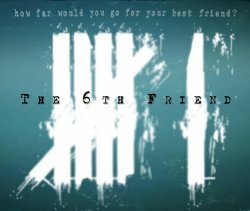 Your upcoming film The 6th Friend - in a few words, what is it about? Six best friends engage in excessive partying and drug use on the night of their college graduation. 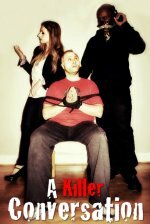 An uninvited guest commits a horrifying crime on one of the girls and the girls seek vicious revenge on the perpetrator, which, years later, leads to disastrous results. As far as I know, The 6th Friend is your first screenwriting effort. So what made you decide to give writing a shot? I've actually been writing since I was six years old. It is a passion of mine. I became interested in screenwriting when I started acting in Hollywood because I would have to read so many screenplays for auditions. 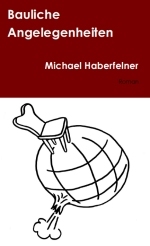 I've written another screenplay but I don't think I will make that one into a movie. We will see. 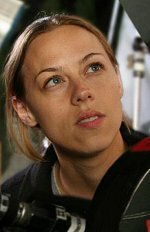 The director of The 6th Friend, Letia Clouston, came on the film as another writer and she has contributed immensely to the script. What were your sources of inspiration when writing The 6th Friend? Some of my favorite horror films inspired me - The Descent, Halloween, Scream, Texas Chainsaw Massacre. You also appear in front of the camera in The 6th Friend - so what can you tell us about your character, did you write her with yourself in mind, how much of Jamie Bernadette is in her, and what will you draw upon to bring her to life? Joey is a simple girl. She is definitely not a prissy girl; she is somewhat of a tomboy. She is the mediator of the six friends and gets along with everyone but she doesn't always handle her problems in smart ways. She is a pretty well put together girl but she changes in the story due to tragic events but she has a good heart. I did write her with myself in mind though not every aspect of her personality is like me. I think it is inevitable that an actor will bring their own traits to portray the character. It's best to find things about the character and relate it to your own life to make it real to you. What can you tell us about your co-star Chantelle Albers, who I understand will also produce the film together with you, and how did the two of you hook up in the first place? 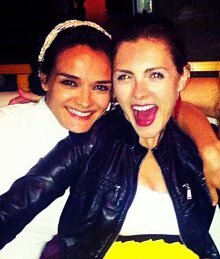 Chantelle is a trustworthy, kind, honest, loyal friend and business partner! I just can't say enough good things about her! She and I met last fall on the horror film Axeman at Cutter's Creek. We hit it off right away. We shared a room on set and we stayed up all night long night after night laughing like little kids. It was a blessing to meet her, truly. Our second day on set we went for a walk up in Big Bear during some down time that we had. We wanted to go to a restaurant and we ended up walking about 3 miles out of the way, got lost and ended up hitch-hiking! She said she wanted to make movies and I said I have a script, and that's how it all started. I told her the synopsis and she loved it. Then everything just fell into place! Anything you can tell us about the rest of your cast yet? I really can't at this time, but we are bringing in some amazing talent to audition and there are name talent who have the script right now. Some roles we are just going to offer to some great actors who we know; they won't have to audition. It's wonderful to have worked for some years in the industry and to have built up relationships with such great talent because it makes the casting process a lot easier. Your director Letia Clouston - why her, what will she bring to the table? 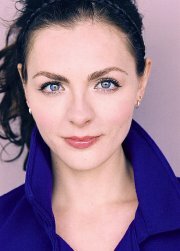 I met Letia many years ago - maybe four years ago - at an audition for a feature that she was directing. She gave me the callback but didn't cast me but wrote me the kindest letter saying she would keep my headshot for possible work in the future. About a year or so later, she cast me in her web series Broken Toy. I was very impressed with the episodes of Broken Toy that were already out so I quickly agreed to be a part of the series. When working with her on set, I noticed that she knew exactly what she wanted, she was fast and organized, and she communicated to the actors in a positive, encouraging, clear way. I think she is a true visionary artist also. I could see that when I watched Broken Toy. I believe a director has to have an overall vision of a completed project - the mood, the pacing, the theme, to name a view elements - and has to be able to bring that vision to life. I believe she has that gift. As far as I know, The 6th Friend is still in pre-production. So what's the schedule, when will the cameras start rolling, and any idea when the film will be released yet (and yes, I know it's probably waaay too early to ask)? We are filming in September 2013. The film will hopefully be released in 2014. I intend to have the film done with post production by the end of 2013. After having written The 6th Friend, can you ever be tempted to write another movie? Absolutely! I am already thinking of some ideas. Writing is an escape for me, an absolute joy. I love it and will definitely keep doing it. Writers (not only screenwriters) who inspire you? Poetry is my first love. A few writers I love are Sylvia Plath, Seigfried Sasson, T.S. Eliot, Robert Frost. Some screenwriters are Quentin Tarantino, Darren Aronofsky, Stanley Kubrick. Any future projects beyond The 6th Friend you'd like to talk about? 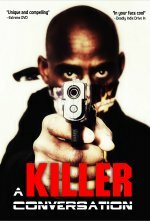 I am going to be in L.A. Slasher, starring Mischa Barton, Danny Trejo and Eric Roberts. I am very excited about that. It is also a horror film. I also have a great fantasy/drama feature coming out called Darling Nikki, starring James Duval. I have several more coming out as well, which are on my IMDb page. Anything else you'd like to talk about that I have merely forgotten to ask? I don't think so! Thanks for the interview!